Things have changed a lot around here. We've been so busy that we haven't updated our website! Our open house was a great success and we would like to thank all of our sponsors and all those who attended. The changes at the farm are so numerous it's hard to know where to begin. Our new covered shavings storage is done (the concrete is drying as I'm typing) and our first load of bulk shavings is ordered. (We were using bags). Our new covered manure storage is also almost done. The new feed room is done and the feed is in it as of today. The two new tack rooms will be ready hopefully by tomorrow and we expect 5 new horse to come in over the next 10 days. That will take us to 22. The four new stalls will be done soon and we are planning the footing for the new arena. The paddocks are all done as is the round pen and the gates are installed on both driveways to keep everyone safe. The two new wash racks are basically done and just waiting for the rubber interlocking flooring that will be in there over the concrete and down all of the new aisles. The upstairs viewing area is dry walled and just being painted. Tile flooring, appliances and fixtures soon to follow. 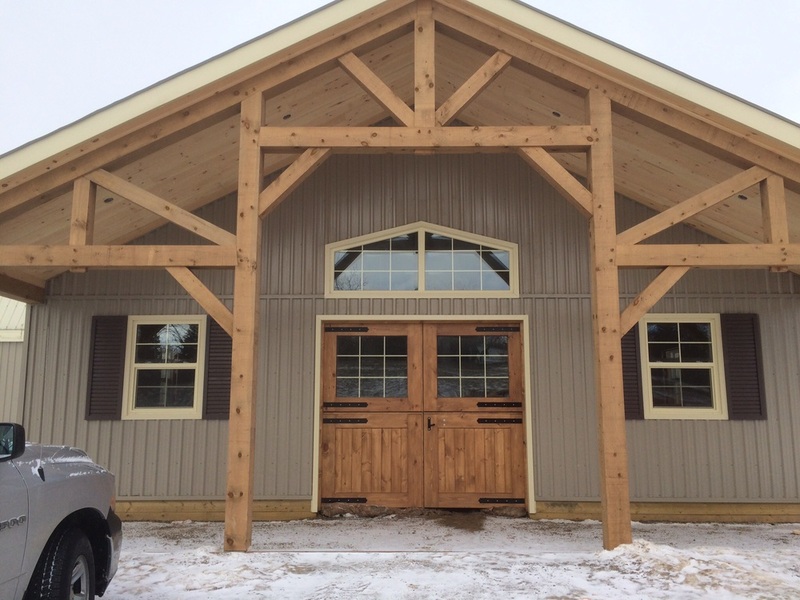 Willow Way Farm's new main entrance. New arena - currently serving as a staging area, awaiting footing. The new rubber interlocking flooring can be seen stacked up. Upstairs viewing area - waiting for paint, tile flooring and fixtures. The viewing windows are only temporarily small and will be much bigger once the drywall is cut properly. The new hall and 4 new stalls to the right. 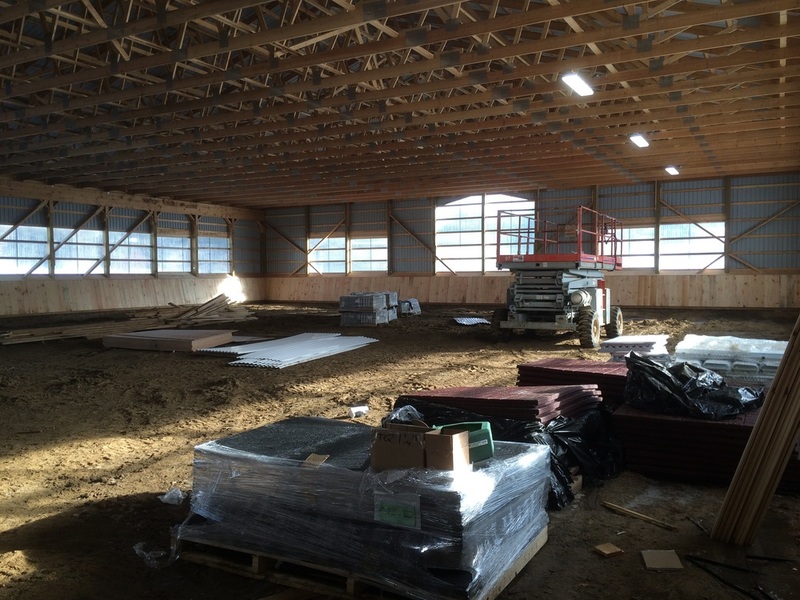 To the left (across from the stalls) is the new feed room and the downstairs viewing area. the new arena is through the doors. Inside of the new main entrance. This has already changed a lot and as of today the tack rooms now have finished walls and are basically done. View to the west from upstairs viewing area. The new arena is to the right. Two of the new paddocks with run ins and the new round pen are also seen.